I offer customised programs to time-poor business owners via mentoring, strategy sessions, workshops and webinars. AFTER 15 YEARS RUNNING A SUCCESSFUL BOOKKEEPING PRACTICE, I AM QUALIFIED TO HELP OTHERS GROW THEIR BUSINESS. Hi I am Katrina Aarsman, after 15 years running a successful bookkeeping practice, I understand the frustrations and challenges of trying to grow your business while working in it. Many times, I wished for practical support and solutions to help streamline systems, save time and boost business productivity and profits. 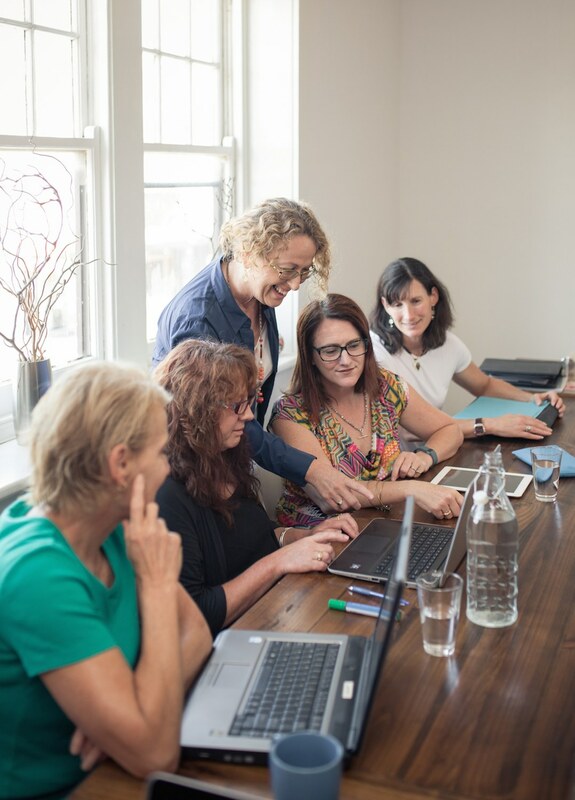 As a fully qualified accountant and trainer, I have harnessed these learnings and established Bookkeepers HQ; providing unique solutions and support to bookkeepers. I offer customised programs to time-poor business owners via mentoring, strategy sessions, workshops and webinars. So I know what it’s like. Bookkeepers don’t like spending the time or money on our own businesses. But the reality was that I was stressed out, time poor and desperately seeking a better way to improve my practice and reclaim my life. How did I get here? Business steadily grew, and my office moved out of home. My clients increased, but so did the need for resources to match the growth spurts, build the office infrastructure, plus the time required to run the business. The great news was business was booming, but I didn’t have the time or brainpower left at the end of the day to work on my business. I needed to work smarter, not harder so I started working on solutions to get my life back on track. I understood the key to running an efficient and profitable business was organisation. But which systems and where could I find them? By trial and error, I worked at removing time-consuming manual systems and replacing them with automated and more efficient ones. I streamlined all my business processes, automated workflows and improved staffing procedures. Over the years, I tried and tested many systems, and felt relieved when I finally found one that I could perfect. My small business was thriving – I had eight staff working for me at one point. But I realised after 15 years, the empire had been built and it was time to move on. In 2015 I sold the business with the new owner taking over the staff, office and my established business name. My fellow bookkeeping colleagues were asking how I built up the business and got to this point …. And there it was… my lightbulb moment! Now my passion is to empower fellow bookkeepers with the knowledge and tools to improve and grow a productive business, and ultimately, to exit successfully. A few years ago, I qualified as a trainer and armed with these skills and my learnings, I have established Bookkeepers HQ. I can now offer those solutions and strategies I so desperately sought to other time-poor business owners via mentoring, strategy sessions, workshops and webinars. You can get your life back, and create the business you want – one that won’t take all your energy and time.